"Yeah, don't you take a break?" "I don't have time for breaks." "That's the whole point of a break. When you've got no time, you need a break." Does my Head Look Big in This? was never really on my radar. I had seen this book on a few blogs and was intrigued by it but not enough to want to go get the book. But during my search through Audible for a good book to listen to, this one stood out for some reason. It sounded multicultural, the subject matter was interesting, and there were a good number of positive reviews to back it. So into my ipod it jumped. Sixteen year old Amal takes a life-changing decision a few days before school starts - she decides to do full-time. Basically what that means is she was going to wear the hijab at all times and not just as occasion demands it, as part-timers do. But this was a very big decision, as her parents constantly reminded her so many times. She had just recently switched schools - her previous school had a sizable number of Muslim students and many were full-timers in there. But her new school had maybe none. This meant that there was a good chance she was going to get ridiculed to death. Also, what would her close friends think? Would they treat her the same or start avoiding her company? Worse, what would Adam, her secret crush, think? As Amal expected, there were plenty of repercussions caused by her decision. She invited a lot of silent stares on her very first day, and for days after. A couple of her snarky classmates wasted no time making fun of her. The Principal gave her a big dialogue about uniform representing a school's values and her hijab violating school code. And Adam completely ignored her. Does my Head Look Big in This? was such a charming rewarding read that I am glad I chose to get it from Audible. There are a lot of important issues discussed here, packaged in a really fun book. Amal is just like any other girl. Her family is completely liberal and they even tried to make her understand that there will be a lot of people who are not going to be comfortable with her hijab. But Amal wanted to do this for herself - she was very sure about her decision. That doesn't mean she was able to take all the upcoming challenges in her stride. Amal constantly worried about doing something in public. Although she was a great speaker, she suddenly started feeling unable to commit to a debate competition. Amal's decision to wear the hijab was also received with a lot of praise from some of her mother's very conservative friends as that marked a true Muslim in their beliefs. Amal repeatedly tried to assert that she was doing this for herself and not to be a true Muslim or even to announce her religious identity. But Does my Head Look Big in This? is not just about Amal's struggles. Her best friend at school constantly fusses over being overweight and takes up smoking to help reduce her appetite. Another close Muslim friend of hers was being forced into marriage by her parents and not allowed to even have a dinner outside with friends. Her elderly neighbor had long disowned a son she dearly loved simply because he married someone she didn't approve of. Through these other characters, the author nicely parallels the problems Amal faces with the (maybe more relatable, depending on your life experience) problems that other kids face. The narrator, Rebecca Macauley, did a fabulous job narrating this story. She was completely believable as Amal's voice. I could have done with a lot less of the proverbial teenager shrieks but on the whole, this was a great listen. The topic of cultural identity and religious garb was sensitively explored. To me, this is a very important topic - there are many racist incidents born just as a result of outward expression of religion. Other than becoming more confident in her hijab, Amal is still the same person with her hijab as she was without it. 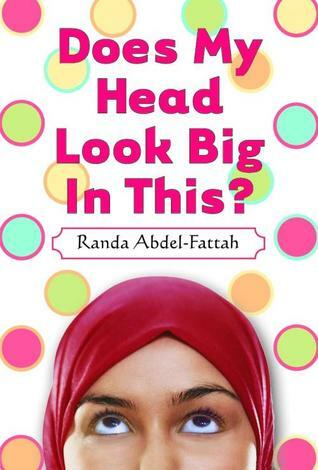 That's another reason I thought the audiobook worked great here - you were listening to the same person talk and why should wearing a hijab suddenly make her a person to be uncomfortable with? There were a lot of Muslim students at Vance's high school - some chose to wear a hijab and others did not. As far as I know, all of the other students respected their decisions but I plan to ask Vance about that now. I'd really like to read this book - it sounds terrific! Great thoughts on this - I have been trying to decide what to listen to next on Audible. This sounds pretty good! I've been meaning to check this one out. Great review. I got to the end of your review and may have said "Exactly!" out loud when I got to your question at the end. It doesn't matter. It shouldn't. This sounds like a good book that tackles some important issues, while at the same time is entertaining. I will have to add this one to my Audible wish list. I like to think that ridiculing someone's choice to wear a hijab is a rarity, but unfortunately bias against people dressed differently happens way too often, or at least it happens in the news too often. I'm glad to hear that students at Vance's high school were more respectful about it. I hope you will enjoy it. I thought it worked well as audio and the story was quite entertaining too.